Monkey is a bit animal obsessed so while visiting Toronto it only seemed right to take a trip to the zoo. Family had already pre warned us that it is a big site and we would unlikely get round it all in a day, its definitely a walking zoo we did about 6 miles in total. It’s on the outskirts of the city about half an hour from where we were staying. They have a large carpark which costs 12$, it gets added to your bill when you pay entrance fees. The price to get in is really reasonable when you compare it to prices in the UK £14 for an adult and £9 for a child with under 3s free. What I would say is that there are plenty of extra things to spend your money on though. Such as a carousel, camel rides (6$ each) high ropes and a zip line (12$ each). I guess doing it this way means that you can pick and choose what you pay for. 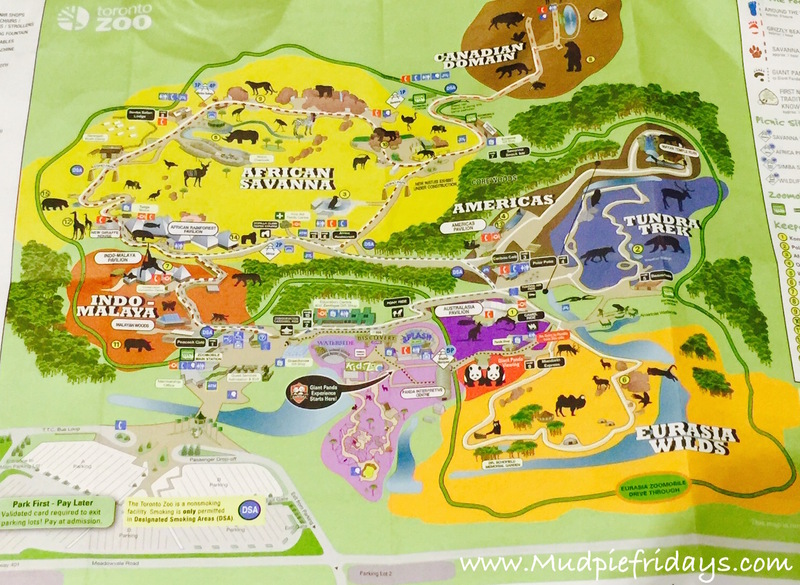 As you enter there is a ZooMobile over to your left, additional 8$ per person. However it is a good place to start as it goes around the whole park and helps you to get your bearings. There are three stations which means you can get on and off after visiting different areas reducing the walking. Also at the entrance there was the option to hire buggies and trollies. We opted to get off the ZooMobile near the Tundra Trek area where we saw polar bears. Monkey hasn’t seen them before and they are one of my favourites. They have an underwater viewing area so you get to see them in the water, there are talks at midday and 3pm. 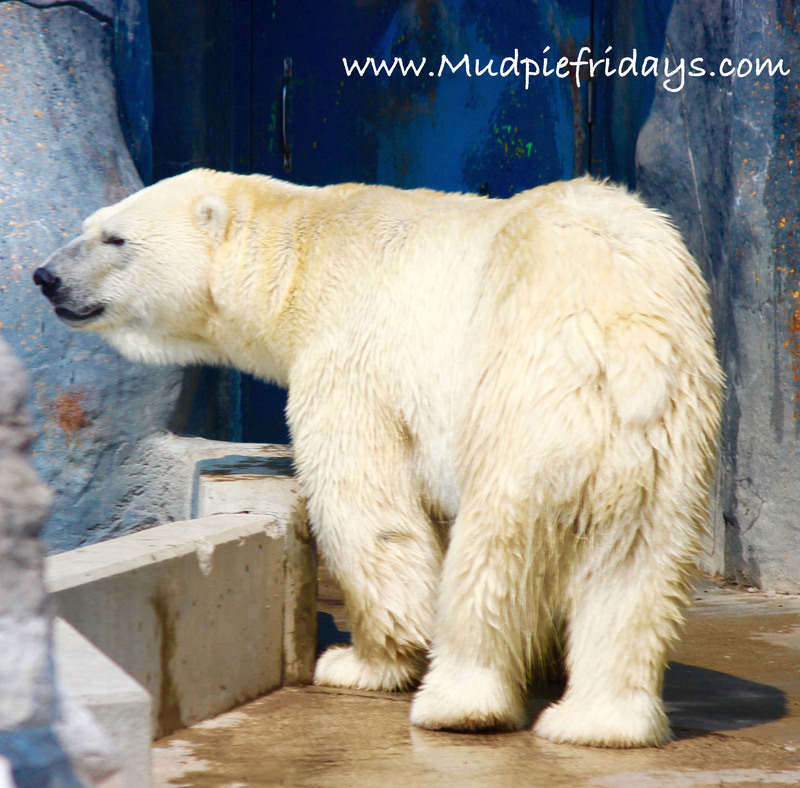 The zoo has good size enclosures which does mean that you cant always get close to the animals, personally this doesn’t bother me its god to know their welfare comes first. 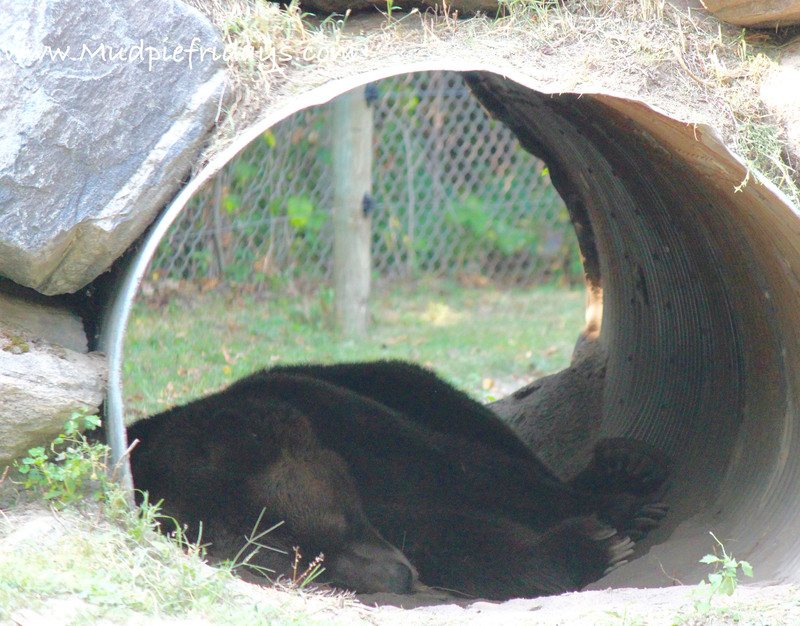 With this in mind because we visited on such a hot day a number of the animals had been removed from their enclosures because of the heat. Not that this mattered as there is so much to see. 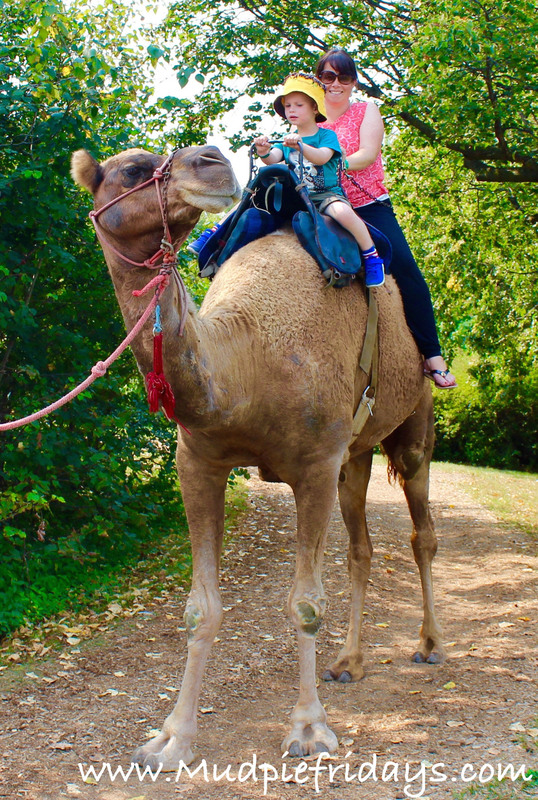 We moved not the Eurasia Wilds area and took the opportunity to go on a Camel ride. I was a little worried as Monkey is allergic to horses and donkeys, however thankfully he didn’t actually come into contact with its fur. He found getting on an off easy – however I struggled a bit being a little short in the leg department meant I found it difficult to get on and off from the raised platform. Although its a short walk round – you are probably only on the camel for about 3 minutes he did love it, wanting to go on again straight after (which we didn’t). The Panda enclosure is very close to the camel ride so we headed there next. They have two Pandas Er Shun and Da Mao which are with the zoo until Spring 2018. Monkey has not seen a Panda before and was very excited, unfortunately due to the heat they were sleeping peacefully inside so it was difficult to get a good look. The two Pandas have been specifically chosen as a good genetic match for breeding. 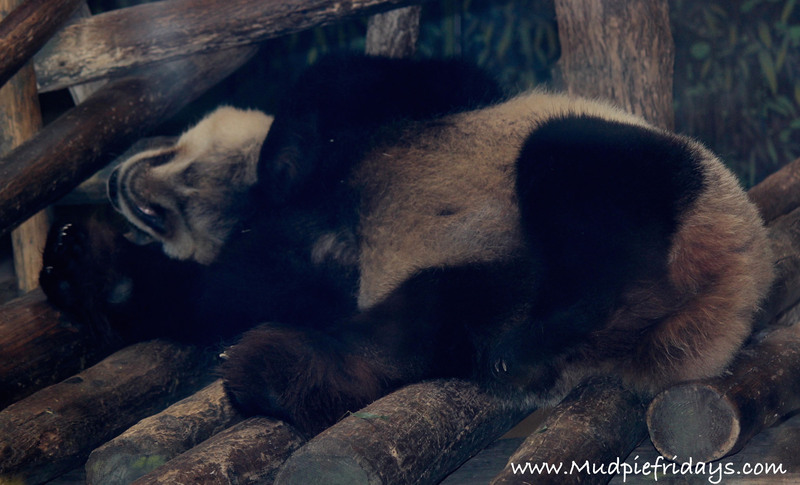 The zoo has a Giant Panda Interpretive Centre which is a great educational resource for older children. As it was one of the Panda’s birthdays Monkey had the opportunity to colour some birthday wishes and make a flag. Food options appear to be limited to the normal fast food, a caesar wrap, hot dog, cheese burger some large sweet potato fries and two bottles of water came to 31$. Ever since Monkey understood that we going to visit Canada he has been going on about bears and wanting to see bears. So after lunch we headed to the Canadian Domain area where we could see Grizzly Bears. Be warned this area of the park is very steep and its quite a long hill down to the bear enclosure. Alas because we were getting into mid afternoon they were sleeping. However we did meet a very large moose close up! We also got to see a couple of other animals which Monkey had not seen before including a White Lion and some Lionesses. 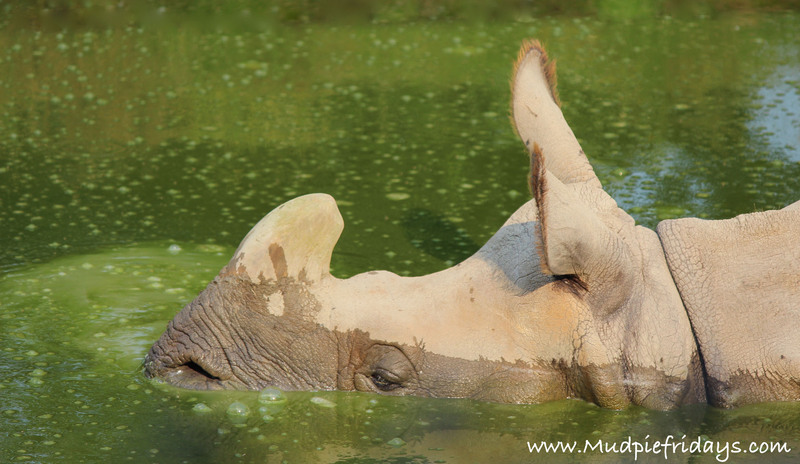 There was also a Rhino that liked to submerge himself in his pool and blow bubbles which was very entertaining to watch. The carpark was reasonably busy but other than queuing to get into the zoo initially you wouldn’t have known, it did not feel crowded at all. We spent the whole day at the zoo arriving about 11.30am and leaving at 5.30pm. We didn’t go into any of the pavilions apart from one, I can imagine they are similar with lots of further exhibits to look at. We managed to get up close to various snakes, reptiles and amphibians in the one we visited. The pavilions are large and would be good to visit when the weather is not as good along with the Great Barrier Reef Aquarium which we didn’t quite make it to! We paid for our own entrance and all opinions and views are my own. You can’t beat a visit to the Zoo for a good day out. Although it’s been years since I went. These animals do look contented and that’s always a good sign, I think. Your photos are gorgeous. It’s a pity that the bears were napping when you went to visit them, but it does look like a fantastic day out – if a massive trek at 6 miles! 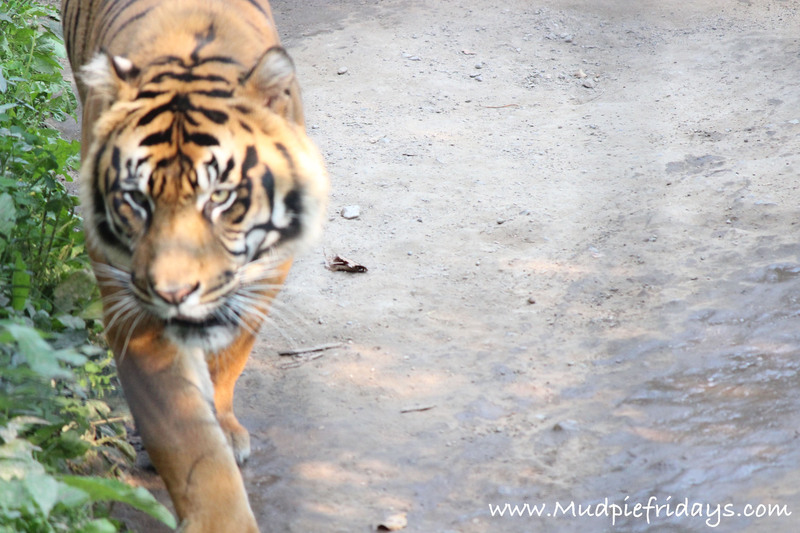 We have a wildlife conservation park close to us which is always nice for a day out but can be quite pricy to go as a group – but worth it to see the little mans face when he sees a new animal for the first time! 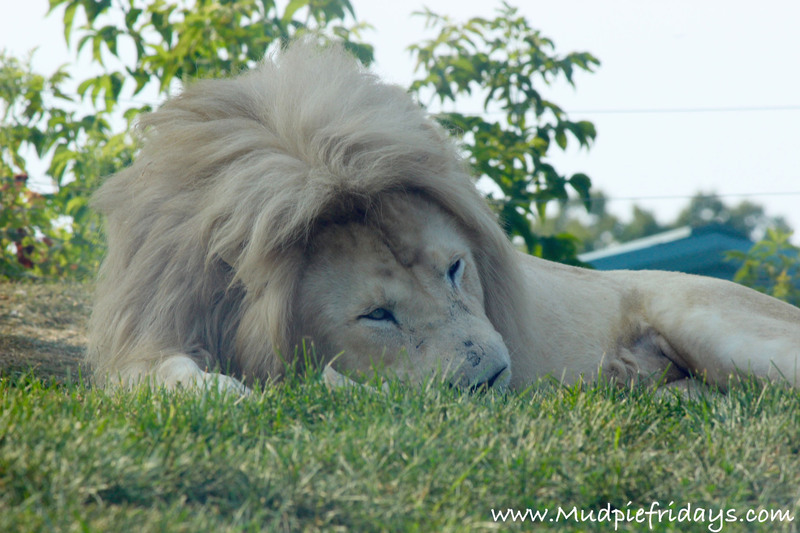 How gorgeous is that white lion, it looks like you had a wonderful time at the zoo. I have never been to Toronto before but I would love to. Oh my goodness. I know Hayden would absolutely love it here. Great photos too lovely – The camel photo is brilliant! 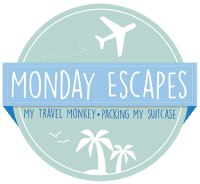 Thank you for linking up with #MondayEscapes!